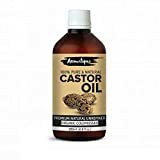 WONDER FOR THE HAIR AND SKIN: Castor oil promotes better hair growth and helps nourish and hydrate the skin. Rich in vitamins and fatty-acids, 100% NATURAL : Produced with the highest quality standards using real castor oil, sourced directly from artisanal farmers in India. PERFECT FOR ALL HAIR AND SKIN TYPES: Made using chemical-free substances, the Aromatique Castor Oil is perfect for all skin and hair types. It is also free from artificial additives and won't cause any allergies and irritations when used. COLD-PRESSED OIL: The Aromatique Castor Oil is cold-pressed without heat or chemical substances like hexane. 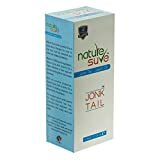 This way, it retains all the healing properties of the oil, without any harmful additives or ingredients. 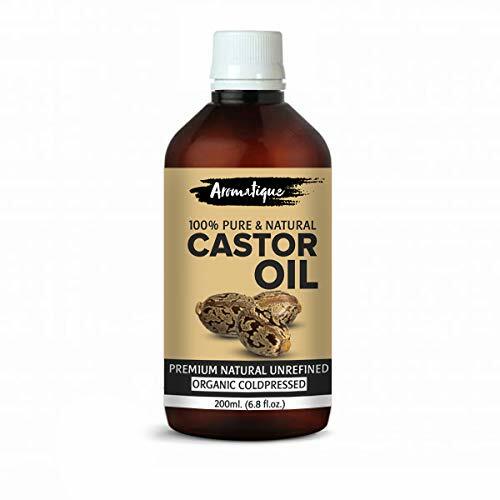 AMAZING RESULTS: With its natural, healing properties, the Aromatique Castor Oil will give you incredible results as your hair and skin will immediately absorb its nutrients and thus giving you the best transformation in time.